If you want to learn more about the IN PURSUIT OF ME! 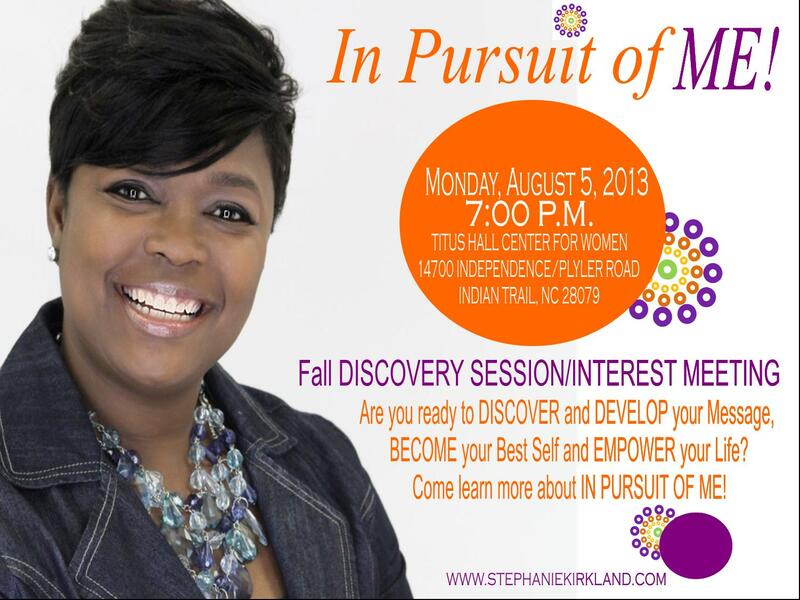 Coaching and Personal Development Program, please come out Monday, August 5th. We would love to see you. The Fall Session begins in September. We can only accept a certain number of students. Please come out and learn more. Let us know you are coming. Send us a email at info@liftingupthestandard.org.